1 ½ in. long, 5/8 in. wide. 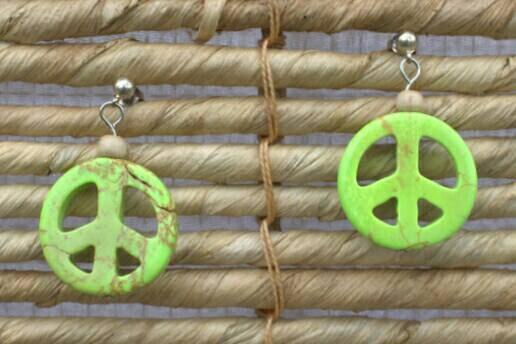 Post style earrings with dangling green peace signs. 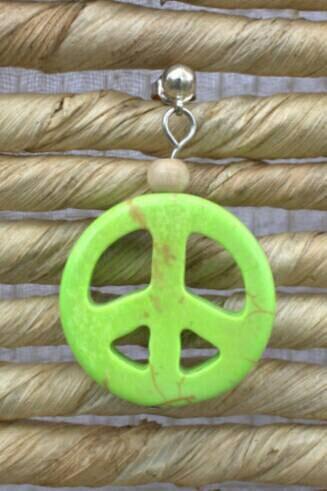 Earrings are double sided, so they'll look great from every angle!